When once asked what motivates Martu to work, KJ’s senior cultural advisor said three words: ngurra (homelands), kalyu (sacred waters), wangka (language and story). All three are inseparable from one another, and all three are of vital importance to Martu. 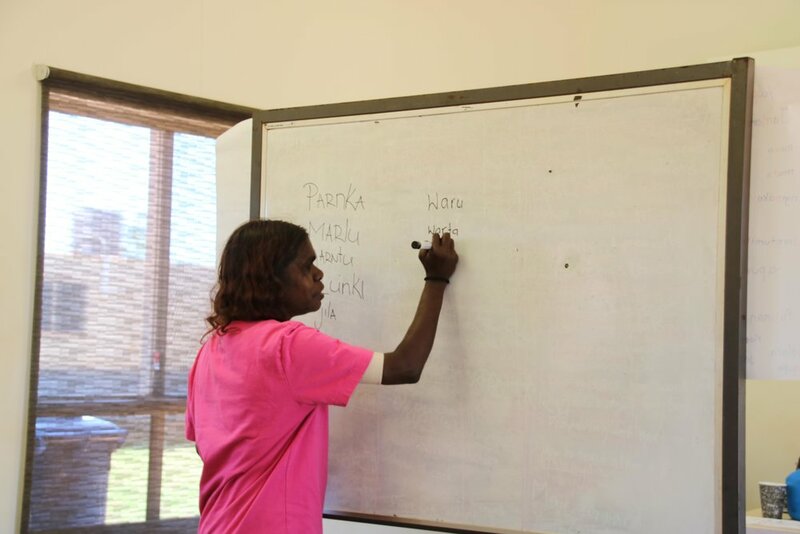 Traditionally, seven languages were spoken across Martu country, forming seven contiguous regions named after the traditional language groupings. Martu see these regions of country not simply as being where the speakers of the languages reside. Rather, the languages are embedded in and describe the country. 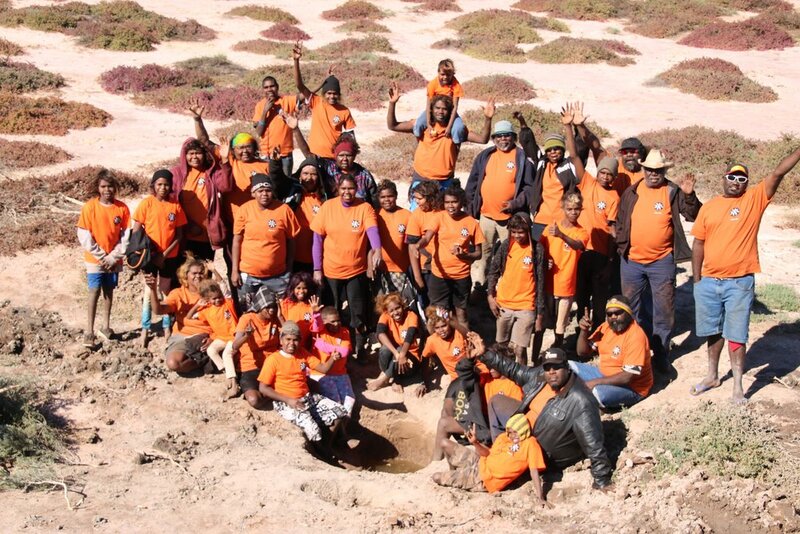 In this way, Martu languages encode a wealth of cultural, spiritual and ecological knowledge. 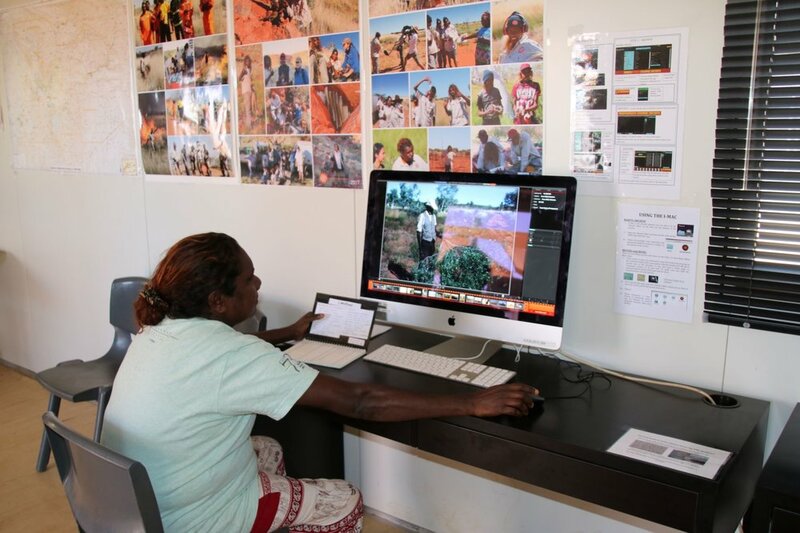 Through KJ’s language program, the capability of Martu adults to understand the richly complex and intricate cultural and ecological knowledge encoded within Martu languages and stories is being recovered and honed. The language program is being integrated into all facets of KJ’s work. Younger Martu work on-country alongside elders, through KJ’s cross-cultural leadership program, and in KJ’s Women and Families and Junior Ranger programs to ensure that important linguistic, cultural and ecological knowledge about Martu land, society and values remains alive and passed down to future generations.